Korean Giant Samsung Mobile has just formally announced the much-talked-about and much-awaited 2014 iteration to its highly successful flagship phablet line. 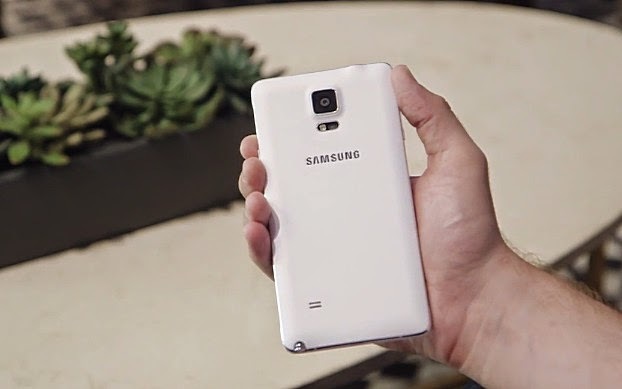 The Samsung Galaxy Note 4 - introduced just few minutes ago at IFA 2014 currently being held in Berlin, Germany - represents the very best of what the company has to offer in the smartphone-tablet hybrid category. 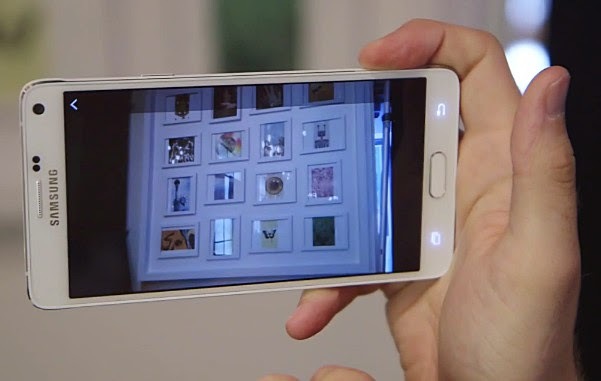 “The Samsung Galaxy Note series signaled extraordinary innovation within the technology industry. 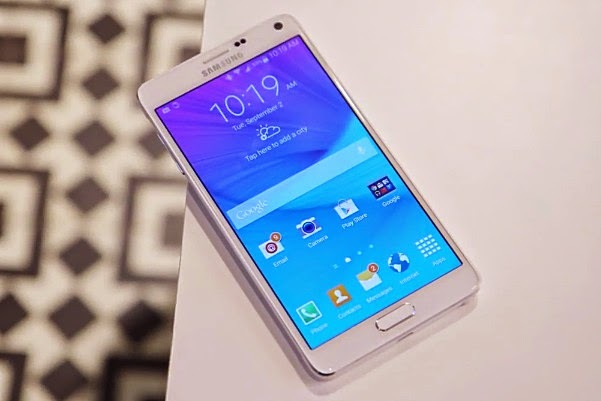 Its larger screen size and iconic S Pen technology launched a new standard in smartphone culture. With the introduction of the Samsung Galaxy Note series, we brought the age-old culture of the pen and notepad into the digital world. The new Samsung Galaxy Note 4 introduces the most refined Note experience to-date by combining all the latest technology that users expect from the Galaxy series," shared Mr. JK Shin, CEO and Head of IT and Mobile Communication at Samsung Electronics. 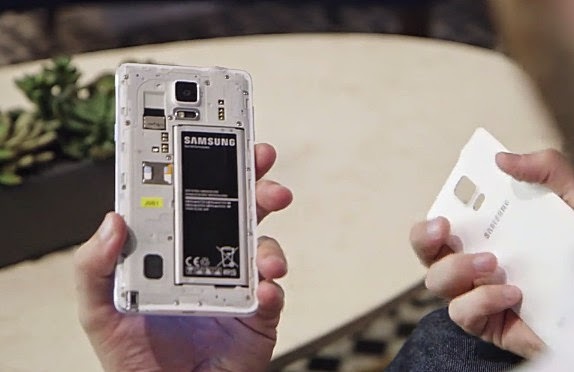 Design-wise, the new Samsung Galaxy Note looks like a larger version of the metal-clad Samsung Galaxy Alpha -- flaunting the same aluminum side frame and soft-textured plastic back plate, which give the device a far more high-end and elegant look and feel in the hand. The phablet looks beautiful -- but as mentioned by Mr. JK Shin, it's the product's features that make it their best and most refined Note release to date. 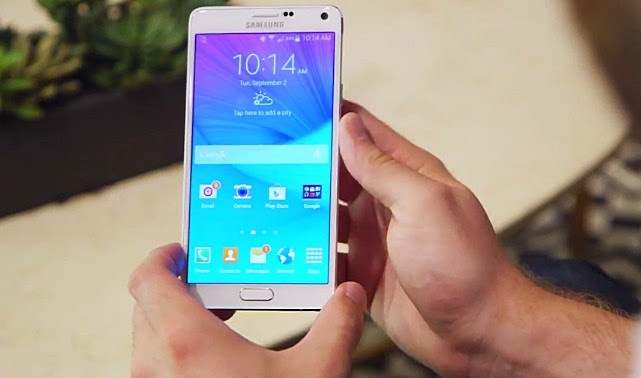 According to the company, SGNote4 embraces Samsung’s heritage of an unrivaled Galaxy mobile experience. "Its extraordinary 5.7-inch Quad HD (2560 x 1440 pixels) Super AMOLED display reproduces clearer and more vivid images with deep contrast, better viewing angles, and response times as fast as a millionth of a second, providing a tremendous viewing experience." ​They added, "Due to its large screen, the refined Multi Window feature is able to maximize the user’s experience providing them with the key to easier multi-tasking. Users can choose how they access their applications with full, split or pop-up screens, and easily change the size and positioning of apps on the screen with one intuitive swipe." The device's imaging prowess was also greatly beefed up -- comparing it to that of its predecessor. 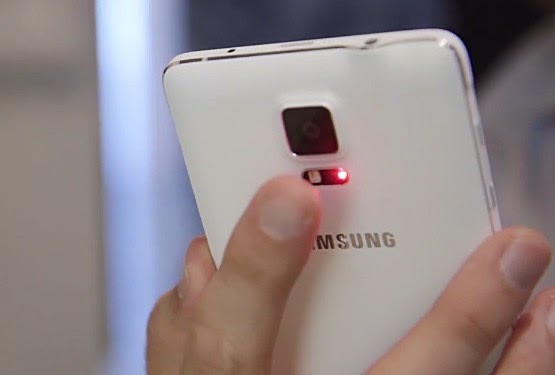 Samsung Galaxy Note 4 is equipped with an advanced camera system that is able to reproduce brighter and clearer images. It is headlined by a a 16 MegaPixel rear-facing autofocus camera featuring a Smart Optical Image Stabilizer (a first in the Note series!) that counter-balances camera shake and automatically extends exposure time in dark settings. To complement the main camera, there's a a 3.7 MegaPixel front-facing cam with f1.9 offers a default 90 degree shooting angle and up to 120 degree wide angle so you can take the best group shots with your friends. As for video capture, the device supports 4K recording at 30 frames per second and Full HD 1080p at up 60 frames per second. With the phablet's Fast Charging feature and Ultra Power Saving Mode, SGNote4's removable 3,220 mAh Li-Ion battery pack charges faster and ensures that users don’t run out of power when they need it most. The device's screen, imaging capabilities, sensor set, and top-notch note-taking capabilities (that's more or less just the same as that of the Note 3) are truly amazing -- but Samsung Galaxy Note 4's internal specifications are what truly makes it a flagship release to be reckoned with. Samsung will be releasing two variants of this phablet; SM-N910S and SM-N910C - which both have 3 GB of RAM and 32 GB of expandable internal storage. So what makes them unique from each other, you ask? Well SM-N910S is powered by a Quad Core 2.7 GHz Krait 450 CPU and Adreno 420 GPU based Qualcomm Snapdragon 805 chipset while SM-N910C has an Octa Core Samsung Exynos 5433 SoC incorporaing a Quad Core 1.3 GHz ARM Cortex A53 plus 1.9GHz Quad Core Cortex A57 CPU and Mali-T760 GPU. In terms of raw power, you can't go wrong with either chip - I mean, they're at the very top of the pack - but based on Antutu Benchmark Scores, Exynos 5433 appears to be slightly superior to Snapdragon 805 in this regard. 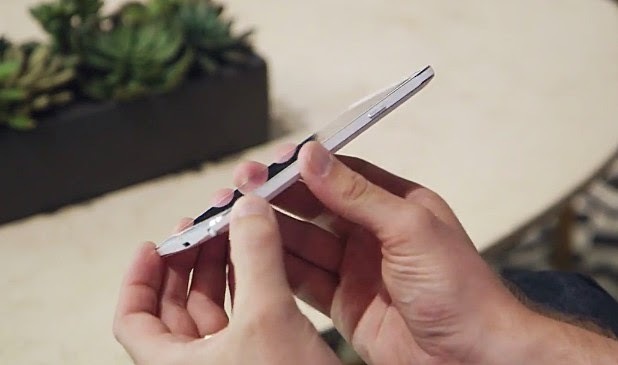 And of course, there's the S Pen. Quoting Samsung, "Making everyday tasks much faster and easier, SGNote4’s S Pen has been specifically evolved to serve as the primary tool that users go to for common, everyday mobile device use. This new [and improved] S Pen offers a much more authentic pen experience, with a more natural brush effect that perfectly emulates writing on paper with a fountain or calligraphy pen. The S Pen also introduces a more user-friendly Air Command functionality along with other intuitive features such as Action Memo, Screen Write, Image Clip and Smart Select that allow users to create and collect content with ease. A new Smart Select feature enables users to easily piece together content from different origins, and share it with ease." ​Additionally, Samsung Galaxy Note 4 provides users with a choice of seamless note-taking methods integrated with the S Note application letting you complete everyday tasks faster and more easily. Apart from typing and writing, the innovative Snap Note feature allows you to take a picture of notes on a paper or a classroom board, and then quickly and easily convert to the S Note. You can also unleash your creativity by jotting down your thoughts more quickly with the Voice Memo. So when will the phablet be avalaible in the Philippines and how much will it cost? Samsung Mobile Philippines has been launching its flagship Note releases on the last week of October every year for past three years -- so I'm expecting Samsung Galaxy Note 4 to land here around that time. As for the price, no official word yet from the Korean Giant, but I'm guessing SGNote4 (either variant - though I'm hoping we officially get the Exynos version) will arrive in the Philippines donning a suggested retail price in the area of Php 37,000 to Php 38,000 or more or less the same as that of Samsung Galaxy Note 3 upon launch last year.